As Landlords, our biggest assets are our houses and biggest expenses are our appliance repairs. In order to be able to obtain market rent we have to keep our house in working order and updated to the area’s requirements. Most of us aren’t starting with new houses or with houses that were built and sustained to be rentals. Many of us are reluctant landlords who are renting because the house wouldn’t sell and have appliances that are susceptible to higher repairs. Others like myself, buy houses specifically to become rentals. Still, those houses were usually previously owned and were built and cared for as such. There are often many items in a house (microwave, washer and dryer, spa, above ground pool, playground, etc.) that are nice, but add no value. These were items that came with the house and ended up being a bonus. That is until the house became a rental and appliance repairs occur. The thing I have learned the hard way in order to be successful is that you must watch your bottom line and watch the items or appliances that you are saying you are willing to repair. The truth is, in most areas if it is included and unless otherwise stated in the lease, you must repair it as it is. So, if your house had a $700 stovetop microwave (yes, those top microwaves can cost that much) and it breaks, unless you stated otherwise, you must replace it with another stovetop microwave or remove it altogether. The things that I have found as a landlord is that many of these extras offer no added value. My house with a microwave receives no more rent than a house without a microwave. So me replacing and installing a new microwave feels like wasted money. There is a solution and it is not to remove everything from a house that might break and require appliance repair. While I no longer buy washers, dryers, over the counter microwaves, kids playgrounds etc, I will leave them in the house. The difference is listed in the lease:all the nice items are “AS/IS” . This includes appliances and the like. This allows me to spend my money wisely and reduce my appliance repair bill. Any Personal Property Left with the House – Table/Chairs/etc. I personally do not have that many “as is” items as I have made a point over the years to remove them from my houses. I personally would rather them not be in the home than having to have that discussion. That being said, our homes are newer rather than older, so there are not a lot of add ons that I would remove not replace. When writing your lease, go around the house and look at Everything in the house. Think to yourself if this breaks am I going to replace it? Will this have a large repair bill? If there is anything that you wouldn’t normally plan on replacing or keeping up, write down to decide if you should put this as/is. I have had AMAZING tenants over the years. The thing that I have found is that when everything is going well it’s great. When it is not going well, then it goes downhill quickly. The best defense is a great offense. Therefore this is when everything become a question. The other thing that I have found that anything breaking is a reason to renegotiate. The issue is that the rent credits requested are way over the actual cost or value added. Usually there is no value added. Therefore I have simply found it best to have this discussion ahead of time. This prevents it from coming up later when a situation is already hotter than it needs to be. 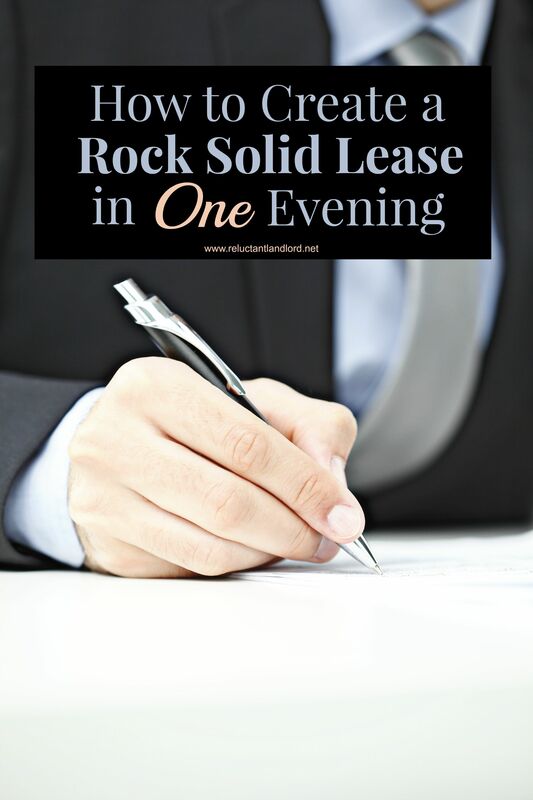 As always the key is your lease!! This is what is going to be your guide to these difficult situations. So make sure you have an air tight lease. 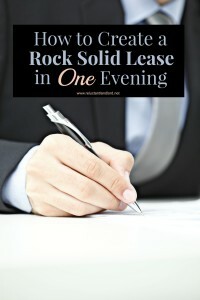 Want to know how to put such a lease together in one evening? Check out my post on doing just that! What has your experience been? 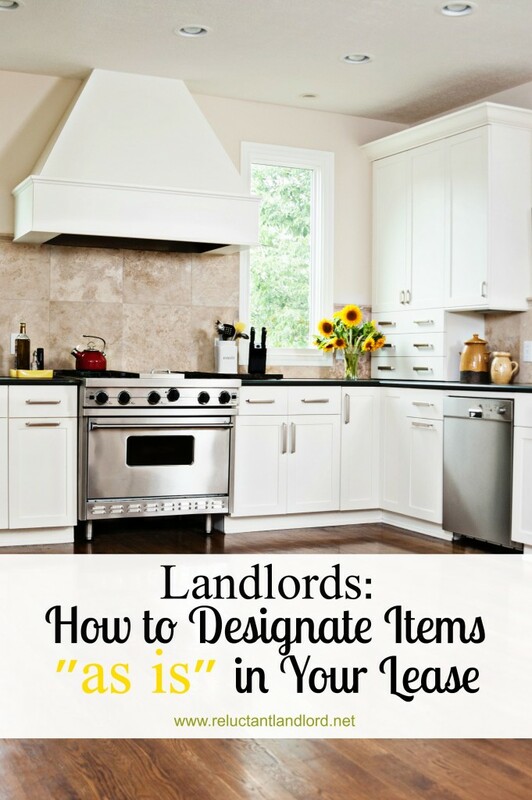 Do you have as/is items in your lease?